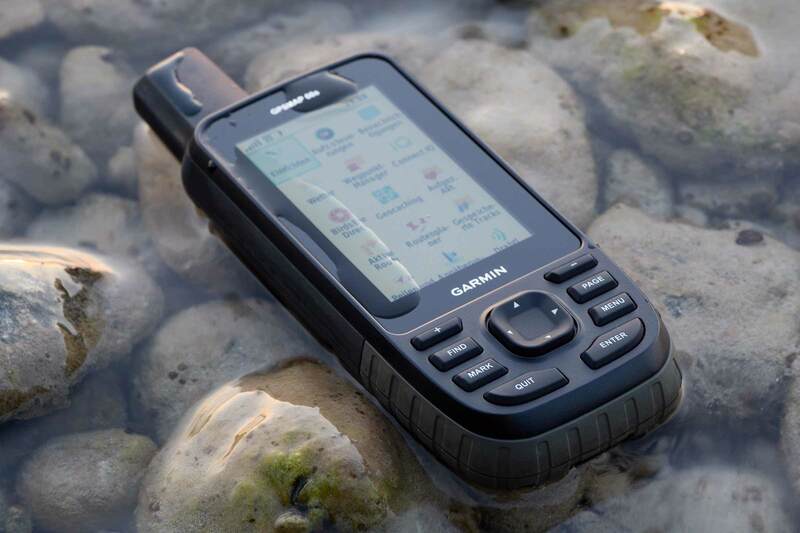 Garmin released the successors of it’s top-selling GPSMAP 64 series: GPSMAP 66s & GPSMAP 66st! but they are still rugged and all-round GPS handhelds for severe conditions! What are the differences of the GPSMAP 66s compared to it’s predecessors GPSMAP 64s and GPSMAP 62s? All GPSMAP 66 models include now ANT+, Bluetooth LE, Wi-FI and USB for connectivity with smartphones (Bluetooth), wireless home networks (Wi-Fi), sensors (ANT+, Bluetooth) or even desktop PCs (USB). One of the interesting new features is the compatibility with the Garmin Connect IQ platform. Users can customize their devices with data fields, widgets and apps, which can be helpful while cycling or hiking. 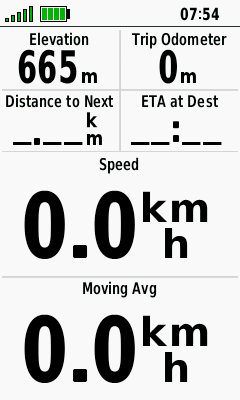 Connect IQ is not yet available for the GPSMAP 66 series, but we experienced that you find a lot of gimmicks and nonsense apps in the Connect IQ store – but also some highlights like routeCourse or the highly recommended gimporter (importing FIT/GPX files from an Android device). These apps will hopefully be available for the GPSMAP 66 in the next future. The new 3″ display – inherited from the Oregon 7x0 series – is absolutely brilliant, even under difficult light conditions. The GPSMAP 66s/66st has similar physical dimensions compared to the GPSMAP 64s, but the bigger screen results in a different housing design (see picture above). So the GPSMAP 66s/66st might not be the perfect device for small hands! The GPSMAP 66s/66st has the same keyboard layout as all GPSMAP devices – with an exception and one negative aspect. The power key is now located near the GPS antenna; when using the 66s with one hand it is a hassle to leave the battery save mode, as this operation is only possible by pressing the power key (all other GPSMAP devices allow to press any key). * Power mode: display always on, max. backlight, GPS & GLONASS, track recording, active navigation, ANT+/Bluetooth/Wi-Fi off. ** Energy saving mode: battery save on, GPS only, track recording, no active navigation, ANT+/Bluetooth/Wi-Fi off. In practice you get a battery life between these minimum / maximum values – depending on your usage. The GPSMAP 66s has 16 GB internal storage (15,44 GB are usable, eg. for maps and GPX/FIT-files), expandable by a Micro-SD card (up to 32 GB). Recording controls: Direct access to this important function by the ENTER key (screenshot bottom left). Satellite page: Different views for each GNSS. Page ribbon: Now visible at the lower part of the display. Trip computer: Pressing the + / – keys changes dynamically the number of data fields (screenshots below). In addition, the map drawing is slightly faster! A very bright LED flashlight and SOS beacon. The inReach remote function for controlling your inReach Mini device. Our map provides a track recorded with various Garmin handhelds (Oregon 700, GPSMAP 64s, Hike 1: all devices GPS & GLONASS, Hike 2: 64s/Oregon GPS & GLONASS, 66s GPS + GALILEO, Hike 3: 64s GPS & GLONASS, 66s GPS + GALILEO, inReach Mini: GPS). You can use this for GPS accuracy data comparisons and making up your own mind. GPSMAP 66s & GPSMAP 64s are on the same high level, no difference between GPS + GLONASS or GPS + GALILEO. Oregon 700 tends sometimes to a slight GPS drift (e.g. in a steep-sided valley, see waypoint 2018-BAY-007); overall, its GPS accuracy is on a very good level compared to the GPSMAP devices. inReach Mini can not match the GPS accuracy of the GPSMAP devices, but is on a very good level too. SUMMARY: The Garmin GPSMAP 66s and GPSMAP 66st are like their predecessors the best all-round navigation devices for severe conditions on the market. We enjoy the brilliant display, its feature set, the improved user interface, the connectivity options and the GPS accuracy. 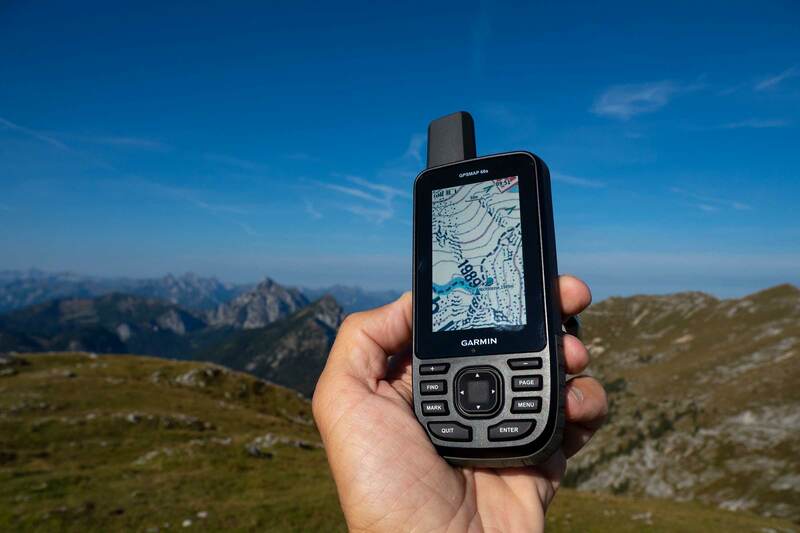 The rugged GPSMAP 66 series is highly recommended for different outdoor activities like hiking, mountaineering and geocaching. Adding more/flexible options for data fields in the map view (i.e. a self-defined config during navigation) should be an easy sw fix, as such options already exist in several earlier models. I hope this can be fixed in an upcoming sw version in not too long. What do you mean by : "No two data field option for map page"
I put four data fields on the map page …. At the beginning I set the altitude in "barmometer variable altitude", "auto calibration disabled", so I adjusted the altitude at the beginning then several times during the hike if it changed (by comparing the points of altitude on the card 1/25000) it was not correct. Then I put "auto calibration enabled", "variable altitude barometer" is better but still with errors. What are your settings to have a more correct altitude? I did not see the link for the calibration page altimétre, I have the setting exactly like yours. After several weeks of use, only one problem exists for me, the altitude, whatever the configuration and the setting of the altitude, this is not right, when I compare the trace with a map at 1 / 25000 IGN, there are errors in positive. I did not have these big mistakes with the eTrex Touch 35, I would like that Garmin corrects this problem. I am on a forum and other users also have this problem. Did you find this problem on your 66s? I have also made a very bad experience with altitude. As for the 64, I use the mode with automatic and permanent calibration of pressure altitude based on GPS Altitude and I have 600m of errors after 6 km and a step in the altitude profile. At the end of the Tour, the altitude was again 300m to high ! Unusable for altitude measurement or profil storage ! Al een tweetal weken intens gebruikt, de batterij duur, na een drietal uren zijn de batterijen op (Garminpack) en loopt de GPS vast, niet een maal maar verschillende keren. Na een paar weken geduld, de GPSmap 66st ontvangen. De batterijen worden niet volledig opgeladen via het toestel. Wel een zeer goed scherm. Buyer beware the interface between the 66 and the explorer app is not working properly! I’m using the GPSMAP 66s and the Explorer App without problems … so what is not working? It seems the "fitness" engineers got hold of a GPSMap-like case and simply built a running/cycling receiver inside it. I eventually had to turn off WiFi and Bluetooth as well as ordering GPS Connect to forget about the receiver, otherwise everything I did was being uploaded to Garmin Connect, Relive, Strava – I have a Vivoactive for that, thank you very much. I tried not starting an "activity" when I start a hike, that turned off track logging altogether. I should have guessed it would, the logging options are "FIT" and "FIT + GPX" – no option to only log GPX. 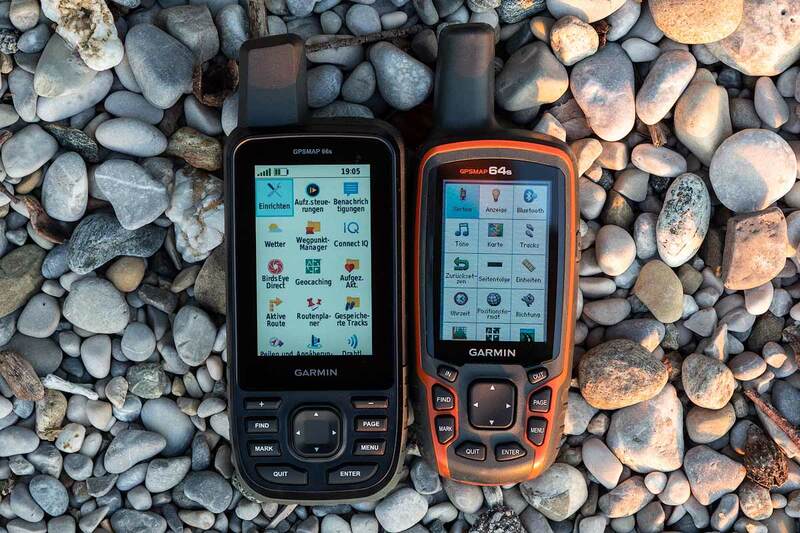 I regret as well that the GPX only mode is not available for all new Garmin devices – but if you want to prevent the data upload to Connect you should not use the Connect App or Explore App and you should not update the device with Garmin Express – use the good old WebUpdater! Well, I’ve used the GPSMap 60csx and 62s (both of which I still have). Skipped the 64, didn’t seem to offer anything new. Two or three different models of the eTrex (I still have the 30 which I use exclusively for track logging). I also have the Montana 650st which I only bring along if I expect to have to hike by GPS for extended periods – my eyes can’t read the smaller displays without glasses – which is difficult in rain and fog. I also have the inReach Explorer, actually the deLorme version, I’d have bought the Garmin one if they had switched to AA batteries (I frequently go on multi-day backpacking trips carrying spare AA batteries – built-ins aren’t very useful). The second complaint relates to ANT connections. I have a Tempe which both my 62s and 66s monitor. When I climb the local mountain (which I do most days, it’s only 780 metres high) the 62s shows a finely gradated trend with steps of 0.2°C at short intervals, the 66s listening to the same Tempe (which is actually attached to THAT receiver) misses most of the changes, the steps are few and HUGE. The "track manager" had a couple of very useful features, one of which was the "Show on Map" function which I often used (coupled with he ability to select the displayed colour) INSTEAD of having the receiver follow the track. This helped because the track colour used for the selected track (i.e. when navigating) couldn’t be changed and sometimes didn’t offer much contrast. Wow – Hornstrandir – I have been hiking there in 1982 – the "good old" GPSless time, only compass and map, however, I’m not a friend of the "fitness" aspect too, especially the mix of activities, tracks, gpx, fit … you can not turn off the automatic activity upload to Garmin, but it is avoidable by not connecting the GPSMAP to Connect; in Garmin Express you can withdraw the data upload in the settings (or update the GPSMAP with the WebUpdater). Regarding the tempe sensor, I have no experience as I lost my sensor – so hopefully the temperature recording will get better by a firmware update. In the track manger (saved tracks) you have still the option "show on map" by pressing the MENU button (see screenshot). Altimeter: the continuous calibration is still available but only when "barometer mode = variable elevation" (screenshot); the difference of 7 metres (62 vs. 66) would be okay for me, however, I would like to see a white paper from Garmin regarding the best practice using the altimeter (how is programmed) – but I guess that’s hopeless. So, I wish you many fantastic hiking trips in Iceland – even with a GPSMAP 66! The tracking difference of track records between the 66s, Oregon 700s and 64s is the antennas, the 66s and 64s are better with a helical antenna while the Oregon 700 does not. I finally received the 66s, I went around the functions, download a WiFi card, associated my smartphone with "Garmin Explore", only disadvantage for me, it is the button on / off badly placed to put it back running when you are saving energy. BirdsEye satellite images download are not exploitable, personally, I created myself satellite images with Mobac and Google Earth, which I turn into JNX and IMG with specific software. They are much neater and really exploitable. Buggy as hell. Once it’s loaded with imagery, it turns off all the time. Great review! I notice large diferences in altitude data of 66 comparing to others models in your graphic. What you think about this diferences? Good? Bad? More precision? Thanks! altitude data should be same as other devices – but I will keep watching it and will give you feedback! Do you know if these maps can be used on the 66 models? Thanks. I received a few days ago an email from Garmin France that the 66 was available at home, while it is not available at garmin US …. But it is also available at Garmin DE. Hi, thanks for your response, I have seen that it should be available …! Have you tried the GPS + Galileo mode to see if the accuracy is better than GPS alone and GPS + Glonass, recording a waypoint and then averaging it ? Galileo is not yet tested, I will do so in a couple of weeks … yes, waypoint averaging is on board. 1. What is the GPS/GNSS update rate? Can it do 10 Hz? 2. What is the update rate while using "expedition mode" for battery saving? 3. Can Bluetooth position data be sent out while in "expedition mode"? 4. Can position data be sent with Bluetooth to apps other than garmin app? For example Alpinequest on my smart phone? It has much better satellite map selection but I want better GNSS receiver than my phone has. the GNSS update rate is not specified by Garmin; I guess in expedition mode it is depending on your speed, needs some further tests to find out. 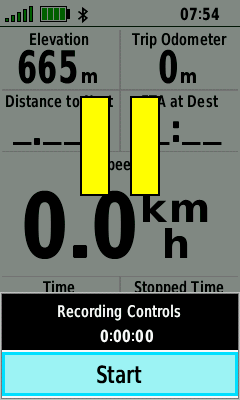 Sending position data to a smartphone, as I know not possible with non Garmin apps. Are the keys backlit ? Thinking of upgrading from my old GPSMap 60CSx where the keys are hard to distinguish in the dark.